Update #36: Soft Launch May 1st!! This is it! We're preparing for our soft launch/open beta of Bullex on May 1st! Anyone will be able to sign up for an account, perform KYC, and trade once verified! The soft launch will allow us to ramp up our support and marketing as we iron out any last kinks in our systems and add support for fiat direct buying of cryptocurrencies. We expect this period to last roughly one month before our grand opening! We're also holding a survey to vote on whether bullex.eu or bullex.exchange should be our primary url. Bullex is proud to announce a new partnership with Digibyte! Every quarter we will donate a percentage of the trading fees generated by DGB to the DGB Awareness Team General Fund. This enables them to promote Digibyte through education, outreach and marketing campaigns. The open beta for Bullex has continued for the last couple weeks with a substantial amount of positive feedback! It’s not too late to check it out at beta.bullex.eu. We are continuing to work through various bugs with the remarketer being a recurring issue we’re working through with our exchange provider. We aren’t ready quite yet to announce the official release date for Bullex, but we’re progressing with marketing plans. We have signed a deal with a marketing firm that will offer a wide range of inbound marketing tools. Inbound marketing is a form of marketing meant to attract new customers by utilizing content marketing, SEO (search engine optimization) branding, social media marketing, and other similar methods. One of their strongest points is automation of marketing and connecting all the dots. This gives us the opportunity to have extremely relevant and timely interactions across our channels, and in turn this guarantees that we get the most out of every euro spent on marketing. We can’t quite announce yet the company we’re working with, but we’re excited for how this will help us with our marketing. We’ve heard your concerns, and we’re confident this will help us deliver an effective solution! We’re also developing a rewards system as another tool to attract new users to Bullex. 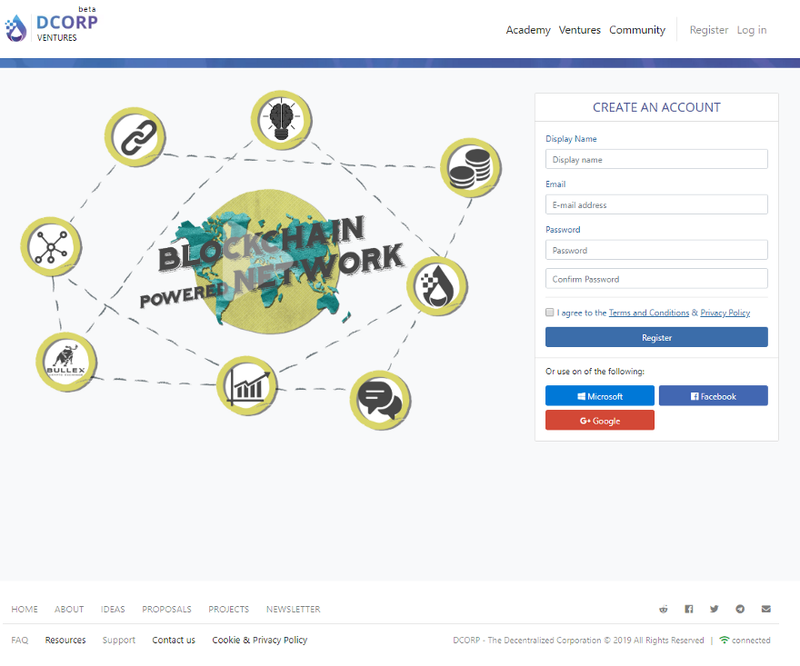 This system will award users with DRPU or other cryptocurrencies upon completion of certain tasks. Some examples of the types of tasks are depositing fiat, signing up for the newsletter, completing a certain number of trades and depositing multiple types of cryptocurrencies. This is another unique feature Bullex will have to increase the value proposition for new users! Lastly, don’t forget we have a new Telegram for the open beta of Bullex! Due to some difficulties with the previous channel, this will become the official channel, so please join today! There has been much work over the last several weeks ironing out bugs, updating visuals, and polishing the site in general, and we’re excited to announce the closed beta will be launching soon for the focus group! After some time with the small group to iron out any remaining major bugs, we will open it to a broader audience. Stay tuned for more info! In case you missed it, you can find our last update here and the feed of all our updates here! If you’re interested in listing your asset or are aware of someone who is seeking listing on a regulated European-based exchange, please fill out the form here! After a long wait, we’re excited to announce the Open Beta will be launching on Monday November 26th, and it will be accessible at beta.bullex.eu! We’re often asked why we shifted focus from the derivatives exchange and why we have taken an extended period of time to launch Bullex. One major reason for this is our focus on regulatory compliance. There are many regulations we comply with including KYC rules, AML laws, GDPR, and we’ve established the appropriate legal entities required to operate Bullex and DCORP in a legal manner. 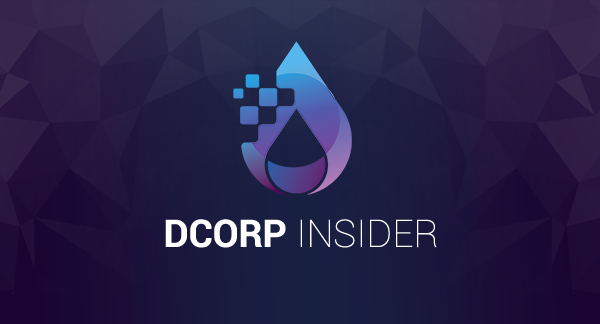 However, regulatory compliance isn’t just saying “we comply with regulation X,” but rather a mindset that we have carried throughout the life of DCORP, and now Bullex. We’ve also seen instances of some of the more popular exchanges planning to move to required KYC for trading. IDEX is one such example, and we expect many other exchanges to change their models in a similar fashion. This is one reason that we, at Bullex, have striven to comply with all applicable rules and regulations. Unfortunately, we’re not yet able to announce a firm date for the open beta due to delays from our exchange provider related to test net wallets not working properly which leads us to concerns around the main net wallets. We understand the frustration these delays have caused, but we can assure you that our runway is not being negatively impacted as a result. We cannot share the details of the arrangement at this time due to its confidential nature. As a reminder though, we still have over 1300 eth of our original fund in addition to our fiat reserves. This also doesn’t include the 8622 eth reserved for the VC platform. We’re making use of this extra time to implement features that were previously not going to be ready for launch. One such feature is an order management page, because our exchange provider’s default offering doesn’t include much in the way of order management our developers have been working to create a solution for this! This will allow you to search and sort your orders with ease, but this is no traditional order management page. One of the unique features we think will be very useful is a built-in arbitrage feature that we will provide more details on soon. Keep your eyes open for another update on this and other features of the order management page! We have no major updates to share for the VC platform at this time. Update #24: Closed Beta Continues! Topics: Testing, Bullex, Cryptocurrency, Crypto Exchange, DCORP, "closed beta"
Update #23: Closed Beta Launch! We’ve just got a short update this week, but we’re excited to announce the closed beta has launched! Also, this week we would like to remind everyone of the tokens currently on the list for the launch of Bullex and that we’ll be featuring all of the coins and tokens in short spotlight articles. Topics: Bullex, Cryptocurrency, Crypto Exchange, DCORP, "closed beta"
Update #22: Bullex Closed Beta, Fiat, and More! We’re gearing up for the closed beta launch of Bullex and have been very busy ironing out bugs and putting on finishing touches, and we’re excited to announce the official closed beta launch date! We’d also like to touch on other topics such as Bullex listings, EUR support, and the smart wallet. Testing of all business rules like KYC, 2FA, withdraw limits, etc. We are excited to announce the first batch of closed beta testing will officially start on October 8th! If you have been selected, you should have received a request for your Telegram username a few days ago. We have provided further instructions via email to those selected, and we will be using Telegram to facilitate much of the beta testing, so please keep an eye on it too! We will be rolling out more phases of testing as we verify there are no major bugs or any are resolved if they are identified. Each group will also be asked to focus on specific areas of the site. We are excited to announce that we have made significant progress on implementing fiat support on Bullex as promised! We will be launching Bullex with fiat support via EURO IBAN deposits! We are also working to add the same functionality for USD, and we will be seeking to expand deposit support to credit cards to open up fiat options for even more users! We will be providing more detail on the specifics of the fiat implementation in the coming weeks. We’ll be announcing the assets that will be listed on Bullex over the coming days. Each asset will feature a short article introducing the coin or token being listed, so keep an eye out for those! These intro articles will be geared towards newer investors in the world of cryptocurrencies. We’ve had interest from several parties for listing on Bullex and have engaged ExchangeListing in the due diligence process for those assets. We will update you on any confirmed listings when that happens. We’d like to take a few minutes to discuss the smart wallet that will be implemented as part of the new VC platform. If you’re not familiar with our smart wallet, here is a brief recap of what it is and how it can lower the barrier of entry into the Ethereum ecosystem and open it up for a wider audience. The smart wallet is a decentralized browser-based wallet that will allow you to send/receive transactions, use the DRP token changer, and other functionality on the blockchain without the need for a downloaded desktop client, MetaMask, or any other additional software. It is a smart contract that uses a never-before-seen method of safely storing your hashed password on the blockchain itself. This allows it to stay decentralized and allows you full ownership of your tokens and ether stored on the address. This process will abstract away public keys, private keys (but don’t worry, users can still extract this if they wish!) and other blockchain terminology, so new users are not intimidated by the Ethereum ecosystem. We see this as a big step forward in bringing Ethereum and other cryptocurrencies to a much wider audience. All of the code involved in the smart wallet has undergone extensive 3rd party review to ensure there are no security issues or bugs. We also plan to incorporate other DApps into our smart wallet, so you can interact with supported DApps directly from your smart wallet in a much simpler manner than currently possible.